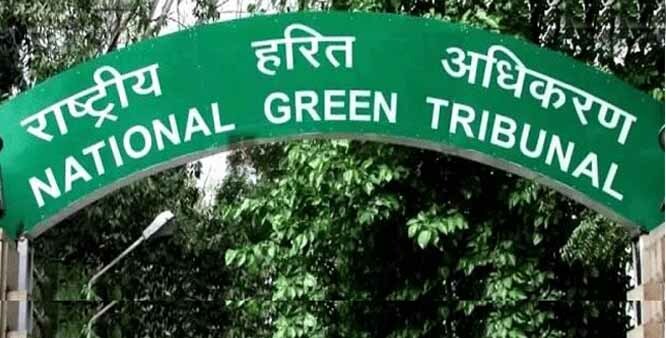 Shimla : National Green Tribunal's order to stop all commercial activities on Rohtang, Marhi and Solang in Kullu District of Himachal Pardesh has left thousands of villagers, mostly youth, unemployed. Sources reveal that over 90% of the population of upper Manali villages is dependent on tourism for their livelihood. Villages near Rohtang and Solang would wear deserted look during daytime as most of the people would go to work, but after the NGT order came into force on July 7, now the villagers have become jobless and can be seen grieving over the same. "People would routinely wake up early and leave for Rohtang, Marhi, Gulaba, Beas nullah and Solang to operate their respective business," said Sunder Thakur, a resident of Palchan village and added, "NGT order has united families, but snatched away their livelihood." Thousands of youth had imported expensive equipments like skis, all-terrain vehicles (ATV), snow scooters and paragliders from abroad. Many of them financed their equipments from the banks. Now that they are unemployed, the equipments are gathering rust and the youth are worried about their debt. Gurdayal Thakur of Solang imported four ATVs from Dubai in 2004. He said that he had to seek help from friends as the machine was expensive. "I was quite skeptical about the risk I had taken with the addition of ATV to the tourism sector in Manali. But it was a huge success and following it, more ATVs were brought by youth of the area," he added. Thakur said now that ATVs are not allowed to run anywhere in Rohtang and Solang, huge investments made by youth have drowned. Moreover, sources said that nearly 10,000 people are directly or indirectly dependent on Rohtang, Marhi and Solang for employment. Fateh Chand, a local resident said that people of upper Manali villages were totally dependent on agriculture and horticulture three decades back. "Ancestral agriculture land gets divided into many parts and therefore, most people had inadequate land for their survival. After the tourism revolution came in, people easily adopted the industry and made it their year-round mode of employment," he added and said that very few people were engaged in non-tourism work and it would not be an easy task even for government to generate alternative for them. Local MLA Govind Singh Thakur said he had been raising the issue of employment of local youth for the last two years but the state government was acting as a mute spectator. "Government has failed to protect the rights of local people. It was the duty of the state government to apprise NGT of the consequences of the ban. I hope government will strongly take the matter before NGT before its hearing on July 16," he added.